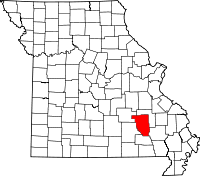 Reynolds County is one of the largest counties in the state with regards to land area while at the same time having one of the smallest populations with less than 7,000 residents. The Circuit Clerk also performs the duties of the Recorder of Deeds and is located in the Reynolds County Courthouse at 1 Main Street in the county seat of Centerville. Marriage, divorce, property, and several other types of records are all available from the office for research. Also in Centerville at 2323 Green Street is the Reynolds County Health Center, where qualified individuals can obtain certified copies of birth records, dated from 1920 to the present, and death records, from 1980 to the present. Missouri state law is fairly strict with regards to who may obtain copies of birth certificates. The Center is open Monday through Thursday from 7:30AM until 5:30PM and is closed on Fridays.